The lemon was first created as a cross between a lime and a citron, and all three grow on evergreen shrubs. The Arabs introduced this small citrus fruit to the Europeans, who then brought them to Spain in the 11th century. Along with other fruits and vegetables, Christopher Columbus brought lemons with him on his second voyage to the New World in 1493, and they have been growing in Florida since the 16th century. Besides large amounts of vitamin C, lemons also contain riboflavin, thiamin, iron, magnesium, pantothenic acid, fiber, vitamin B6, potassium, copper, calcium and folate. Here’s an interesting fact: lemons protected miners against scurvy during the California Gold Rush, and cost as much as one dollar each in 1849. Vitamin C is the most important antioxidant. This vitamin neutralizes free radicals both inside and outside of cells. Free radicals are responsible for damaging cells and cellular membranes, which lead to inflammation, chronic diseases and accelerated aging. Free radicals can also damage blood vessels and alter cholesterol so that it builds up on artery walls. Vitamin C helps prevent this buildup, and consequently helps to stop the progression of atherosclerosis and heart disease in diabetics. Lemons contain vitamin C to help boost your immune system. When cold and flu season arrives, it is always a good idea to keep a bag of fresh lemons handy. 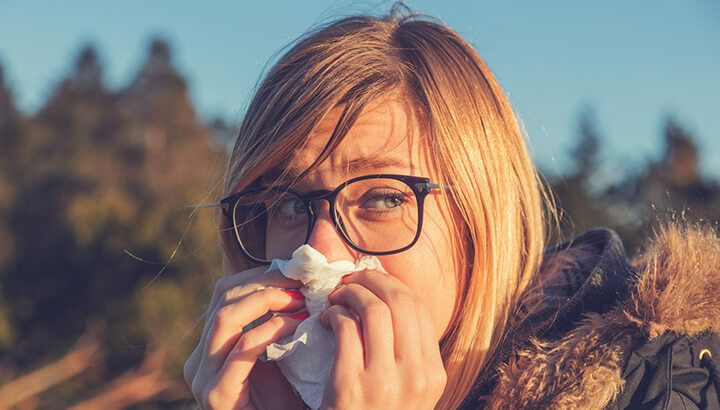 The citric acid, bioflavonoids, vitamin C, calcium, pectin and limonene do a great job of boosting your immune system and keeping infections at bay. Lemons contain 22 anti-cancer compounds including limonene, an oil that has been shown to halt the growth of cancer tumors in animals. In addition, they also contain flavonol glycosides, which stop the division of cancer cells. A 2005 study published in the Journal of Nutrition found that limonoids in citrus fruits protect cells from damage that can lead to cancer. Another study published in the Journal of Agriculture and Food Chemistry stated that limonoids can inhibit tumors in the mouth and stop the growth of cancer cells once a tumor has formed. Lemons are considered one of the most alkalizing foods you can eat. This may seem counterintuitive, as they are acidic on their own. However, in the body, lemons are alkaline; the citric acid does not create acidity once it has been metabolized. The minerals in lemons actually help to alkalize the blood. Most people are too acidic, and lemons reduce overall acidity, drawing uric acid from the joints. This reduces the pain and inflammation which many people feel. Lemons have a purer concentration of negatively charged ions than any other fruit. Dr. Pierce J. Howard, author of “The Owners Manual for the Brain: Everyday Applications from Mind Brain Research,” says, “Negative ions increase the flow of oxygen to the brain, resulting in higher alertness, decreased drowsiness and more mental energy. They also may protect against germs in the air.” The first man to reach the top of Mount Everest, Sir Edmund Hillary, said that he attributed much of his success to lemons! Fact: One lemon tree can produce up to 600 pounds of lemons in a year. If you live in an area where you can grow a tree, you should plant one or two! Most people fall far short of the 20 to 38 grams of fiber recommended daily. Without proper fiber, however, you can easily become constipated or develop hemorrhoids. Consuming adequate fiber has been shown to reduce the risk of developing health conditions such as diabetes, heart disease and diverticulitis. In fact, the American Diabetes Association includes lemons on their list of superfoods because of their high fiber content. In addition, the pectin fiber in lemons can help keep you from getting hungry and overeating. Lemons can naturally improve your mood and energy levels. 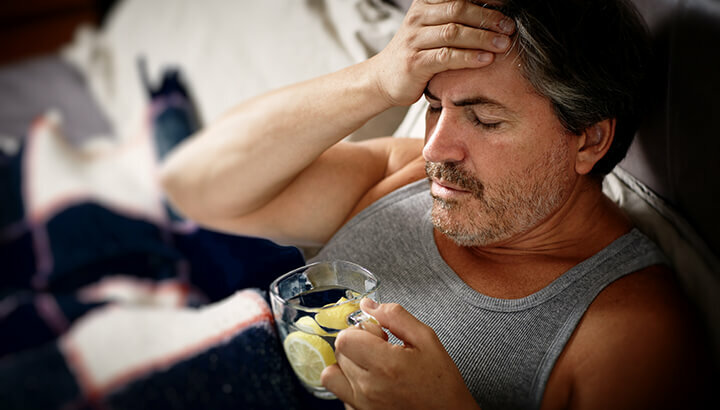 Have you ever gotten up on the “wrong side of the bed?” If you are often lethargic and cranky in the morning, or any time of the day, for that matter, you may want to consider munching on a lemon. Our energy comes from atoms and molecules in our food. When positively charged atoms flood the digestive tract and mingle with those that are negatively charged, a positive reaction occurs. Your body works hard to digest all that you give it. Lemon juice helps flush away unwanted materials and toxins left from the digestive process. Because lemon juice is similar in atomic composition to digestive juices and saliva, it does a great job breaking down material and encouraging the liver to produce bile. Sometimes we forget that the key to clear and beautiful skin starts with great nutrition. Thanks to the vitamin C in lemons, these little citrus fruits can help decrease wrinkles and blemishes. Lemons help to push toxins from the body and support healthy liver function, which also keeps skin clear and supple. When you don’t have enough citrate in your urine, you are at an increased risk of developing kidney stones. Eating lemons on a regular basis can help raise the citrate levels in your urine. They may prevent stones from forming by coating very small stones and keeping other material from attaching to the small stones and enlarging them. Lemons are high in potassium, which is an important mineral that helps to keep blood vessels soft and flexible. This, in turn, helps to reduce high blood pressure. The vitamin B in lemons is also beneficial to heart health. No matter how clean you try to keep your cutting boards, it is inevitable that they will capture the odors of the foods that you cut on them. After each use, cut a lemon in half and rub the cutting board down. You can also pour some lemon juice in a small spray bottle and spritz the board after each use. Rinse well and allow the board to air dry. If you have small children or pets you may be leery of using a chemical treatment for insects that decide to take up residence in your home. To keep ants and other insects out spray a little juice on door thresholds and windowsills. If you can see where the ants or other unwanted guests are coming from, squeeze a little juice into holes or cracks. You can also cut up small pieces of lemons outside of doors as well. To deter roaches and fleas, mix the juice of four lemons, with rinds left on, with 1/2 gallon of water and wash your floors. Age spots, also known as liver spots, are spots that generally appear in people over 50. They can sometimes be the result of sun exposure and are completely harmless, although some people don’t like the way they look. If you are one of those people, you can lighten these spots naturally with lemon. Simply apply some real lemon juice to the dark area (a spray bottle works well), and let it sit on the spot for about 15 minutes before rinsing off. Keep this up daily and you will see a lightening effect in no time. Do you dream of beautiful hair highlights but dread using heavy chemicals? Using lemons for lightening your hair is a wonderful way to get lovely highlights without exposing yourself to toxins. Mix 1/4 cup of lemon juice with 3/4 cup water and use this mixture to rinse your hair. After you rinse, sit in the sun until your hair dries. Repeat this once daily for up to a week until you see the desired results. Many people are plagued with dandruff and tirelessly seek relief. Thankfully, there is a very easy way to ease dandruff using lemon juice. Massage two tablespoons of lemon juice into your scalp and rinse with water. Next, stir one teaspoon of lemon juice into a cup of water and rinse your hair with it. Repeat this until you see an improvement in your dandruff. Rinsing your mouth with juice from lemons can give you fresh breath. For long lasting fresh breath, rinse with straight lemon juice. Rather than spitting the juice out, swallow it. Citric acid, found in lemon juice will alter the pH level in your mouth, killing the bacteria that cause breath odor. Rinse your mouth and teeth well, as long-term exposure to the acid can damage tooth enamel. Berries are a delicious and nutritious treat and so much fun to go pick yourself. If you find that your fingers become stained from the berries (and they will if you pick enough), you will also find that regular soap and water will not come close to removing the stains. However, pour some undiluted lemon juice on your hands, wait a few minutes, and wash with warm and soapy water. Repeat until your hands are stain-free; it shouldn’t take more than a couple of washes. Does your brass or chrome need a pick-me-up? If so, let lemons do the work for you. You can easily make a paste with lemon juice and baking soda. Just mix enough of each to make the consistency of toothpaste. Apply the mixture to your brass or chrome and let it sit for about five minutes. Wash it off with warm water, then dry and polish with a clean cloth. You can also clean your kitchen sink with this mixture. The bonus is that it smells amazingly fresh. It will work to remove mineral deposits as well. 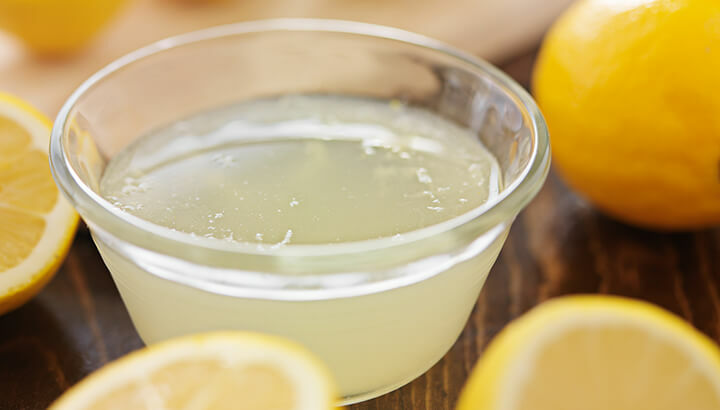 Whether you dig in the dirt a lot, have yellow stains from nail polish, or just have dull and listless nails, lemon juice is just what you need for your nail revival. Lemons contain natural bleaching power that can restore your nails to a vivid white. Fill a bowl halfway with fresh lemon juice. Place your nails in the juice for about fifteen minutes. Use a soft brush or even a toothbrush to gently scrub the yellow from your nails. Rinse your hands with lukewarm water and apply a thin coat of coconut oil. Do this daily until your nail color has been restored. Do you hate soggy lettuce and often find yourself throwing it out? Before you do, try this: add the juice of half a lemon to a bowl of cold water and place the soggy lettuce in this bowl in the fridge for an hour. You will be amazed at what happens to your limp lettuce. Just take the leaves out of the lemon juice mixture and dry off before using in your salad. A daily glass of lemon water with Himalayan salt may provide a better overall mineral balance, which promotes proper food and water absorption in your body. This allows essential nutrients to get where they need to be. Drinking lemons in warm water can help combat allergies. If you are suffering from dry lips, apply a bit of raw lemon juice to your lips before bedtime. In the morning you will find your lips noticeably softer. Repeat this process for several weeks to promote hydration and remove dead skin cells. The vitamin C content and hormone-balancing properties of lemon water can help lift your mood. This might be all it takes to boost your libido, without the need for that little blue pill. Lemons have both antibacterial and astringent properties that help promote the elimination of waste and excess oil on the skin. To help reduce blackheads, rub some lemon on your skin and let it set for ten minutes. Splash your face with cold water. Repeat as necessary. Do not use this treatment before spending time in the sun. Lemons have properties that help them act like a natural deodorant. The citric acid kills bacteria that causes bad odors. Simply rub the juice of a fresh lemon under your arm for a practical and effective emergency deodorant. What is the difference between real lemons and bottled lemon juice? Real lemons contain about 139 percent vitamin C, while bottled juice contains 100 percent of the daily value. The calcium content in real lemons is seven percent, while in bottled juice it is three percent. In addition, some bottled lemon juice may also contain fructose and other dangerous additives. Make sure you are using the real thing — it will make a difference. Hey Buddy!, I found this information for you: "27 Extraordinary Uses For Lemons". Here is the website link: https://www.thealternativedaily.com/21-extraordinary-uses-lemons/. Thank you.